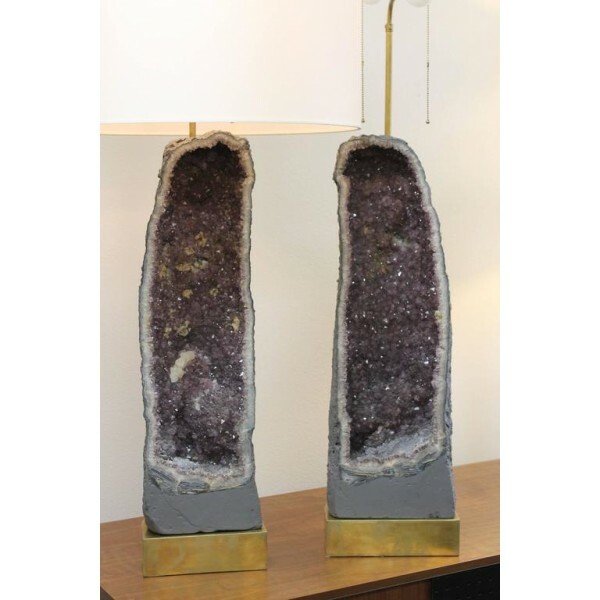 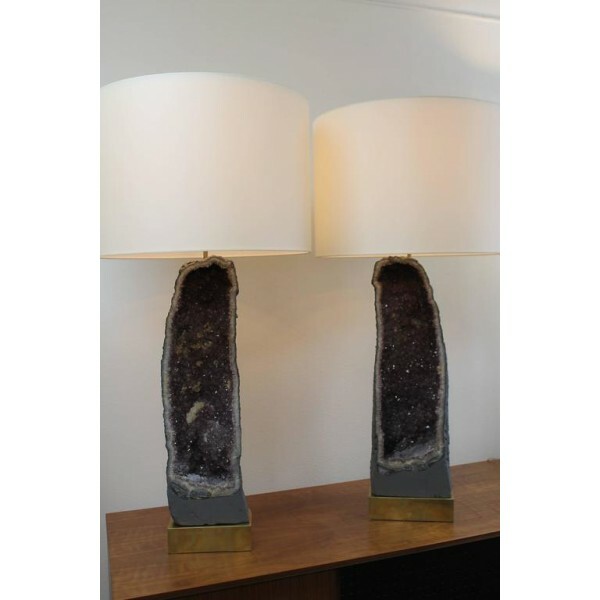 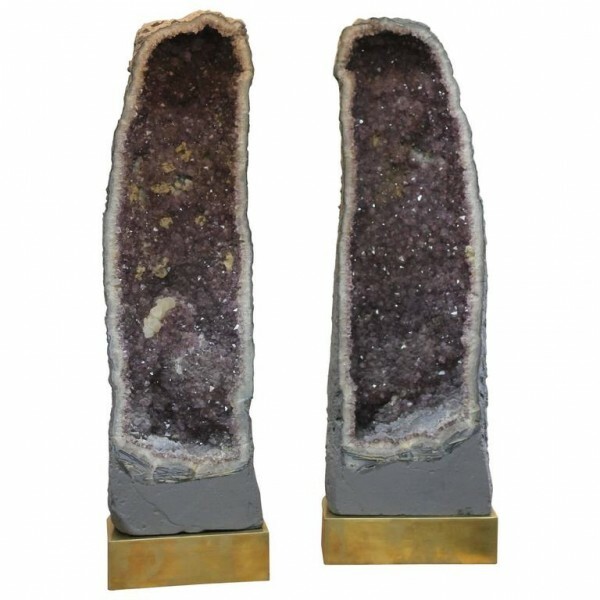 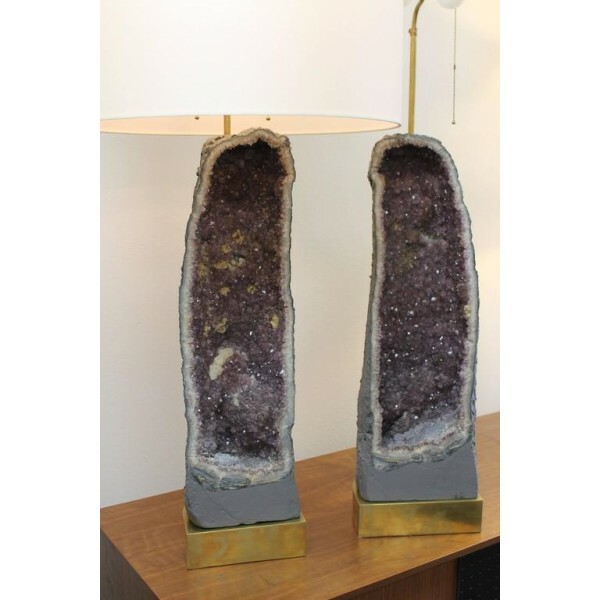 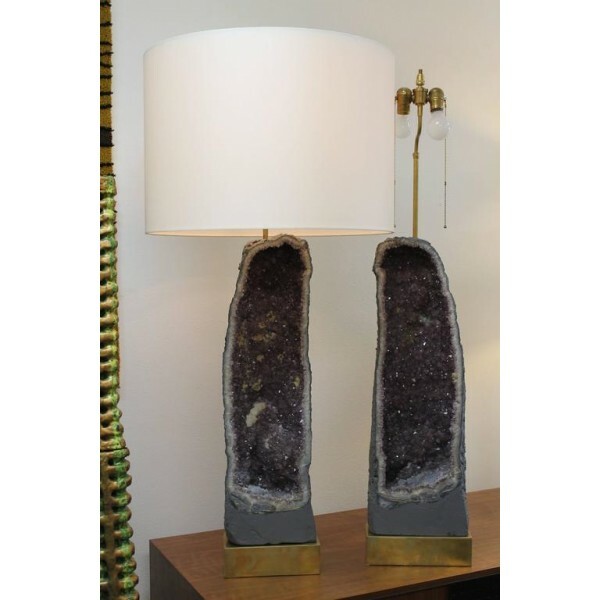 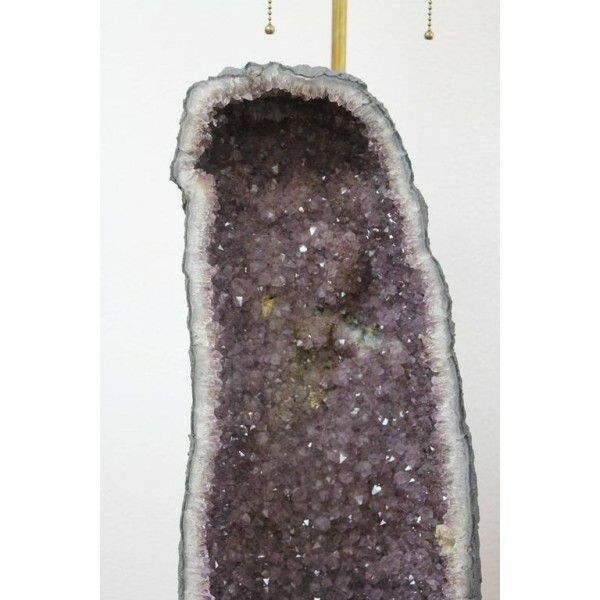 Monumental pair of custom geode lamps. 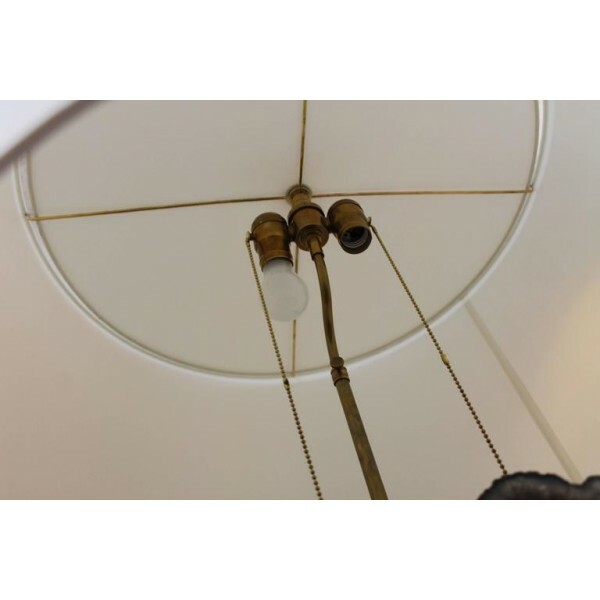 They measure 48” total height from base to the top of shade. 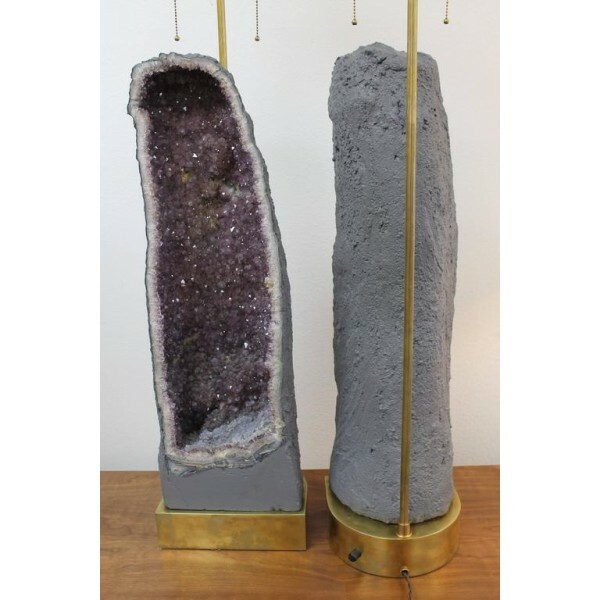 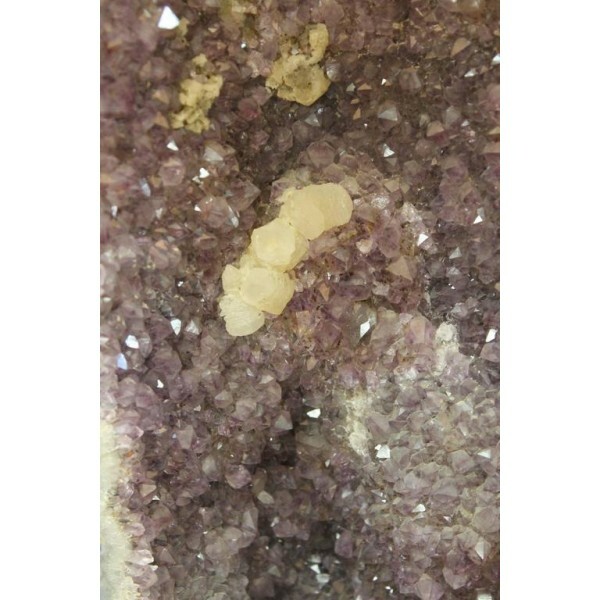 Geode is 9.5” wide and 28.5” high. 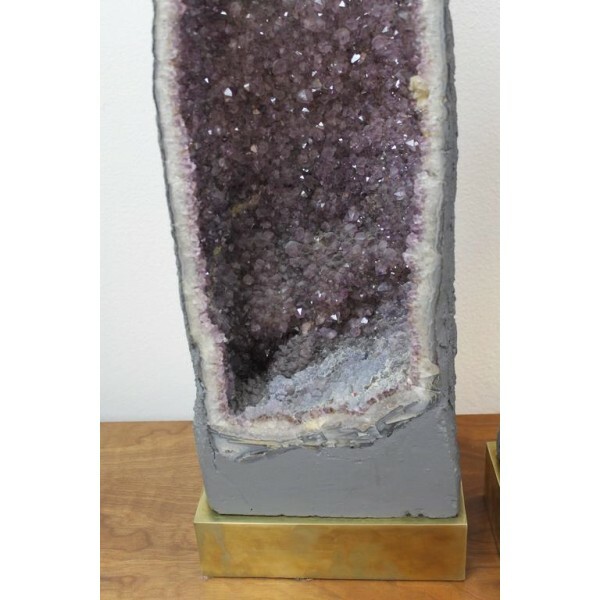 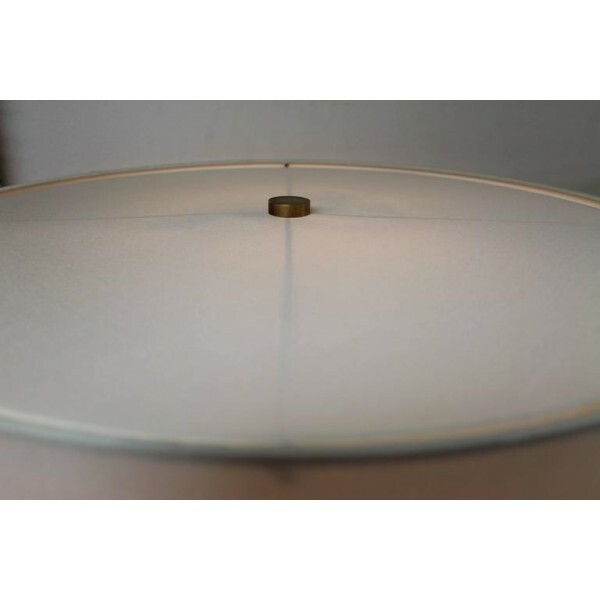 Base is 10” wide, 8” deep and 2.75” high.